4 gallons of Ultra Grip glue for use with Rubberflex flooring only. Covers 330 sq. ft. Rubber..
1 gallon adhesive for use with SportWeave flooring only. Covers 220 sq. ft. SportWeave™ Jazz ..
Giant-sized tiles protect gym floors (Polyolefin Backing) Available: 39 3/8” x 78 3/4” Fu..
4 gallons adhesive for use with SportWeave flooring only. Covers 850 sq. ft. SportWeave™ Jazz..
Adhesive to be used with Decora and Decora S Rubber flooring only. 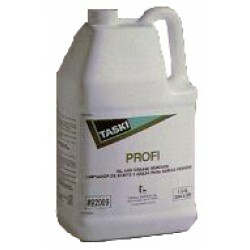 Includes 2.5 gallons for cover..
Taski Profi Rubber Floor Cleaner, 4 x 1 gallons, Covers 1000 sq. ft. ..
Adhesive for use with EcoFlor flooring only. 1 gallon will cover 230 sq. ft. ..
Two part adhesive for use with EcoFlor flooring only. 2 gallons will cover 460 sq. ft. Must be us..
1 gallon of glue for use with Plank or Tile flooring only. Plank & Tile® Fitness Flooring..
4 gallons of glue for use with Plank or Tile flooring only. Plank & Tile® Fitness Floorin..
Adhesive for use with PureGrass Turf flooring only. The PureGrass™ System is the best overall..
2 gallons ahesive for use with Rubberflex flooring only. Rubberflex Speckled “S” floori..
2.5 gallons of Ultra Grip glue for use with Rubberflex flooring only. Covers 180-200 sq. ft. ..